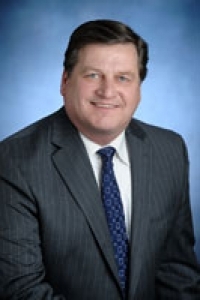 Edward Hennessey grew up in Mastic Beach, graduated from William Floyd High School, and continued his education at St. John’s University where he earned his Bachelor’s Degree in Government and Politics in 1984. He earned his Law Degree from Touro College in 1988. Assemblyman Hennessey is a proud husband, father, small businessman and experienced public servant who is deeply rooted in the South Shore communities he serves. From 1994 through 2005 Hennessey served as Brookhaven Town Councilman. During his time on the Town Board, he concentrated on community redevelopment and planning initiatives, such as upgrading the Town’s infrastructure with federal highway projects and adopting local laws to change and improve land use. He also worked to create regional land use plans and launched community visionings in order to implement the planning recommendations put forth by a community. Prior to his public service, Hennessey was a prosecutor in the Suffolk County District Attorney’s Office. He served as General Counsel to labor unions, including Local 342, Long Island Public Service Employee Union & Trust, UMD, LIA and AFL-CIO. Assemblyman Hennessey also served as counsel in the New York State Senate as a policy advisor. He now concentrates on Criminal Law, Personal Injury and Real Estate. Having located his practice in the heart of his home community, Assemblyman Hennessey defines himself as a street lawyer, representing the rights of working people.